Smartphone screens have almost always remained a major area of improvement. Ever since iPhone started this revolution, the size of smartphones has increased considerably. There were days when critics and some users used to call a phone with 5-inch display too big to use, but today 5.5 – 5.7 inch has become quite common. In fact, we even have a smartphone with 6.4-inches large display (Lenovo Phab 2 Pro). Love it or hate it, but smartphone screen size has come a long way. However, there’s a limit to how large a smartphone can be made. And now it seems that companies are reaching that limit. Today we’re at a point that if display size is increased, the smartphone will become too large to be held in anyone’s palm. From here if smartphone displays have to be bigger, they must get bigger without increasing the physical dimensions of devices themselves. And it turns out that our ever innovative tech industry has found an innovative (and cool) solution once again: getting rid of bezels! The revolution of smartphones began with Apple’s iPhone, so how can any major development of this industry stay away from them? Apple sensed this all-screen design opportunity at right time, and by now multiple rumors have suggested that this year’s iPhone will come with a 5.6-inch bezel-less, all screen display. Samsung might’ve started after Apple in smartphone market, but today it’s arch-rival of Cupertino giant. Needless to say that it has also earned this place in industry by doing some innovation, and not by “slavishly copying Apple” as Apple’s late co-founder Steve Jobs had once said. Samsung was the first company to bring bezel-less display to the market with its Galaxy S6 Edge. However, it was bezel-less only from left to right and not on top and bottom. Sammy currently already has many such left-to-right bezel-less phones in the market, including recently launched Galaxy S8. But now it seems that with Galaxy Note 8 and S9 they too will try to deliver an entirely bezel-less design. When LG G6 was launched this year, it was close to an all-screen design, but not entirely. Hopefully this gap will also be filled by the time of LG G7’s launch next year and we’ll see a bezel-less LG smartphone. Or we may also see it this year itself in form of V30, which is reportedly due for a launch in August. The Essential phone recently launched by Android founder Andy Rubin also features a gorgeous edge-to-edge display. And while its display hasn’t been stretched to the entirety of bottom side, it’s edge-to-edge from all 3 remaining sides. 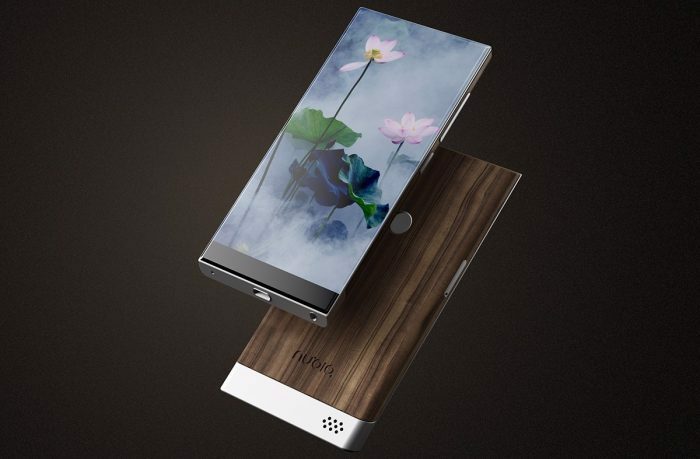 While it was a concept phone revealed only in China, its arrival made quite some noise due to its bezel-less design. Xiaomi Mi MIX attracted global coverage because it got rid of bezels on top, left and right side. And while it’s a concept phone and not an on-shelve product, it shows Xiaomi’s interest and capability to build such devices in near future. So friends, the big smartphone trend of 2017 (and may be 2018 as well) is here. We’re gonna see a lot of flagships with their fronts made entirely of displays. So start saving today for some really cool devices that’re going to release in next few months.